In science, to a greater or lesser extent, we all stand on the shoulders of giants. As a consortium targeting the improvement of methodological quality of clinical research, we have had the honor of working with one of the giants in this field. Doug Altman has left a legacy that will affect the way we are doing research. It is now our responsibility to put in the necessary effort and oversight to follow his path and make research more useful. 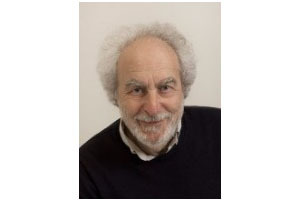 Professor Doug Altman was an invaluable member of our consortium for many reasons: not only was he one of the world’s leading experts in health research methodology, statistics and reporting, but he was a generous, kind and passionate man. No matter how busy he was, he always found time to listen to ideas, concepts, projects. He was always available to provide insights and suggestions to our students, demonstrating his passion for teaching and mentoring. Beyond his brilliance, we remember a generous, funny, supportive and down to Earth man.